It’s time to enjoy your patio again with this attractive stainless steel commercial patio heater. This 46,000 BTU heater creates wonderful warmth (up to 18 feet diameter) and features a sturdy design with 304 grade stainless steel material, which gives this heater the style you want and the quality you can rely on. The heavy duty wheel assembly makes this patio heater easy to maneuver. The heater features a tilt shut-off switch for safety, and a reliable Piezo electronic ignition. Includes a 20 lb propane cylinder for (up to 5) hours of outdoor comfort. Additional propane tanks are available for extended use. Great for warmth or ambiance, this patio heater does it in comfort, quality and style. 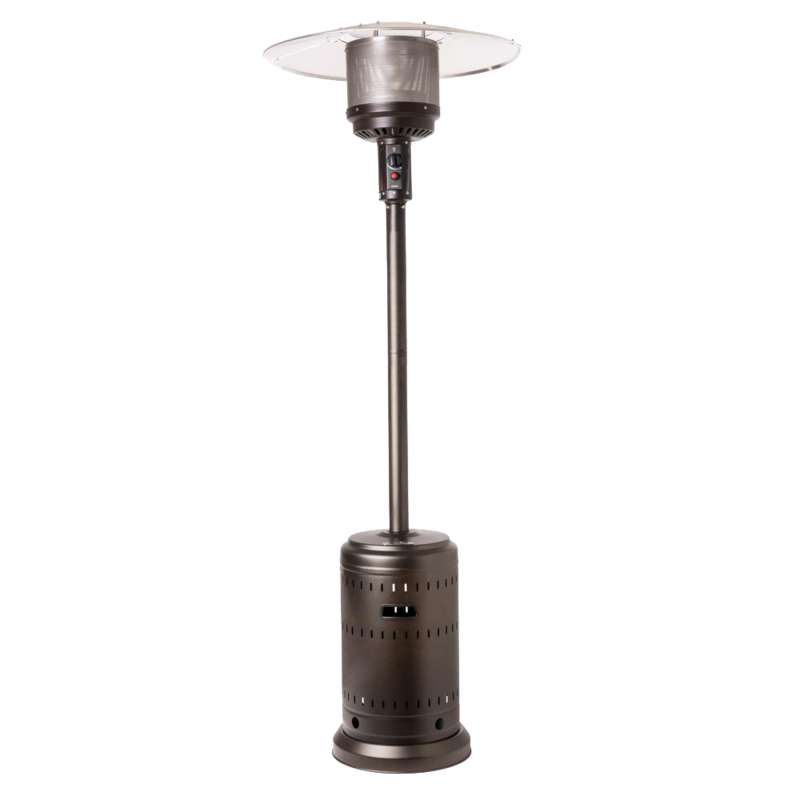 WARNING: Patio heater must be 5 feet away from canopies, overhangs, umbrellas or objects.